Fish habitat plays an essential role in the reproduction, growth, and sustainability of commercial and recreational fisheries and is essential to the biodiversity of marine and coastal ecosystems. Marine fish depend on healthy habitats for survival, and many species require specific types of habitats for spawning, breeding, feeding, and growth. The Council works cooperatively with its management partners to protect essential fish habitat areas and minimize adverse impacts of fishing activities on fish habitat. The Council developed a policy to address impacts of fishing activities on fish habitat to 1) ensure that changes to fishery management plans (FMPs) incorporate effective approaches to managing the impact of fishing on sensitive fish habitat, 2) to assist Council committees in considering policy elements in support of ecosystem approaches to fisheries management (EAFM) when making changes to FMPs, and 3) to focus research and funding opportunities on information needs regarding ocean habitat mapping and possible impacts of fishing activities on habitat. Anthropogenic (human) activities have significantly altered coastal and marine habitat over time. In an effort to more effectively address anthropogenic activities that threaten fish habitat, the Council has developed a series of policies that articulate its positions on the following issues: wind energy, offshore oil, marine transport, liquefied natural gas (LNG), and coastal development. By clearly communicating its positions, the Council can more effectively comment and collaborate with partners and other agencies to address these threats. Both the Mid-Atlantic and New England Councils are working collaboratively with multiple fisheries management organizations, federal agencies, and academic researchers to assess the quality and quantity of fish habitat in the Northeast region. 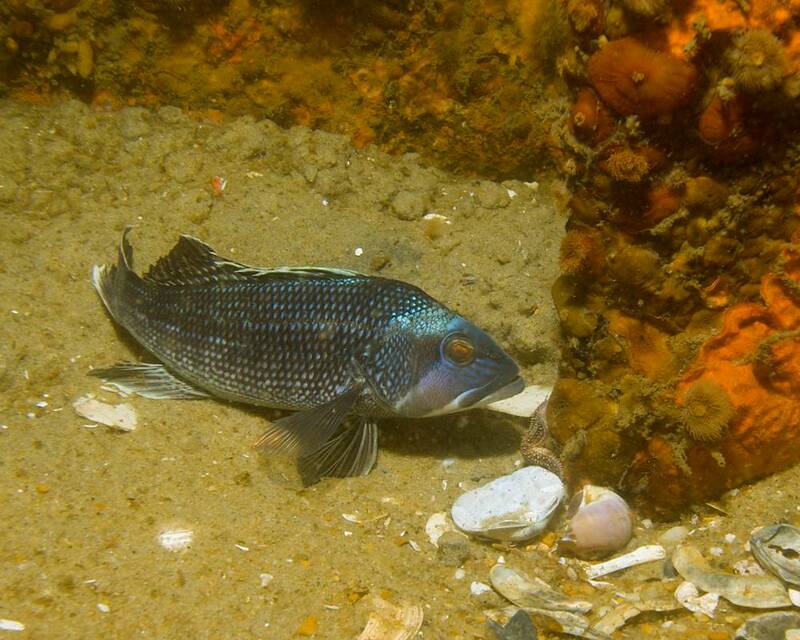 This Northeast Regional Marine Fish Habitat Assessment will conduct investigations to assess habitat suitability for key marine fish and shellfish species in the changing environment of the Northeast Shelf Large Marine Ecosystem. The habitat research will provide information to be used in the future to support federal EFH assessments and EFH consultations. The work will also aim to identify habitat areas that are rare, sensitive, vulnerable, or are uniquely important to ecosystem function. The assessment will support next generation EFH designations for both Councils. In August 2016 the Council completed development of an Ecosystem Approaches to Fisheries Management (EAFM) Guidance Document. Since ecosystem based management involves the adoption of "placed based" management strategies, habitat science will play a key role in the Council's ecosystem based management program. The Council will continue to pursue traditional approaches to addressing habitat issues, including spatial/temporal mapping of habitat to inform the definition of ecological production units for management consideration. Additional information and documents are available on the Ecosystem Approaches to Fisheries Management page. One of the primary objectives of the Council's habitat initiatives is the protection of Essential Fish Habitat (EFH), which is is defined as "those waters and substrate necessary for spawning, breeding, feeding, or growth to maturity" (Magnuson-Stevens Act §3(10)). Designation of EFH is important because it means those areas will be given additional consideration by the National Marine Fisheries Service (NMFS) before any federal agencies are allowed to carry out activities in those areas. The Council is also involved in the designation of Habitat Areas of Particular Concerns (HAPCs). HAPCs are subsets of EFH which are rare, particularly susceptible to human-induced degradation, especially ecologically important, or located in an environmentally stressed area. The Council is currently reviewing EFH designations and scientific information on habitat for Council-managed species. The Essential Fish Habitat Review Fishery Management Action Team (FMAT) will review scientific and technical information on fish habitat and develop recommendations as to whether changes to the existing EFH descriptions and other habitat components of the FMPs are warranted. Based on this review, the Council may choose to modify its FMPs (e.g., revise EFH descriptions, designate HAPCs, or implement other habitat management measures). The Mid-Atlantic Fishery Management Council’s Habitat-Ecosystem Workshop was held December 13-14, 2010 in Virginia Beach, VA. The workshop was organized by the MAFMC in partnership with the NMFS Office of Habitat Conservation, the NMFS Office of Science & Technology, and the NMFS Northeast Regional Office. The goal was to identify projects and opportunities for the MAFMC to move toward the forefront in utilizing the latest habitat and ecosystem science, policy, and management to provide healthy mid-Atlantic fisheries.